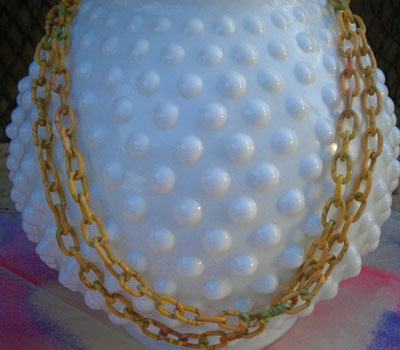 ….combine the two together and you will have a fun and lightweight piece of jewelry that can go with any outfit. 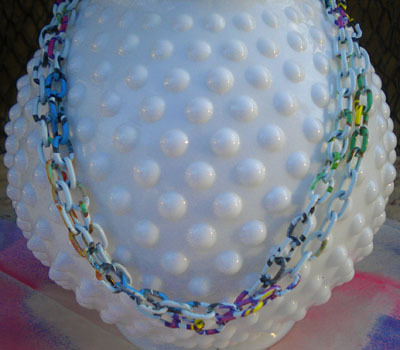 These colored aluminum chains are just perfect for paper beads, and it comes in a variety of colors. 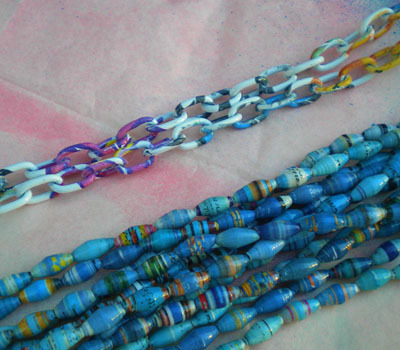 I start putting up on my etsy, accessories be it findings or finished jewelry that will go well with paper beads. I am listing them but I want you to take a peek here first. Yellow(ish) paper beads or contrasting color will be a good match. One of my favorite is the black and white which will also be a good match with zentagle paper beads. We are coming up with designs on how to use these, I hope you will like them. You will find more colors on my etsy. I really really like these. Can’t wait to see how you’re going to come up with the design on these! I love how the chains look spraypainted and graffitted. Very cool! !